How common is rising damp? It’s important to examine the incidence of rising damp in order to understand the size of the problem. Oxley T A, and Gobert E G (1999, p.7,8) state that awareness of dampness has also been stimulated by the rise of a service industry of ‘specialist’ firms devoted to curing it. This is an industry largely directed towards curing rising damp. This is a competitive industry which uses a lot of publicity; it has spread quite widely the impression that rising damp is the main cause, or at least a very frequent cause of dampness in buildings. In fact rising damp is a relatively uncommon cause of dampness in buildings. The 1991 English House Condition Survey carried out by The National House Condition Survey Group (1993, p.54) found that one fifth of the stock is reported as experiencing problems associated with damp. In almost two thirds of these dwellings the problems relate to rising or penetrating damp, in the remainder the problem is condensation. Table 2.1 (below) further clarifies this by showing that 12.6% of damp properties are affected by rising damp. Oxley T A, and Gobert E G (1999, p.1,2) state that, we have good reason to believe that only about one third of all dampness problems are due to rising damp. They further explain; in the Protimeter laboratories specimens of wallpaper and plaster are received almost daily from surveyors and local authorities for chemical analysis for the presence or absence of certain nitrate and chloride salts, which are typical by-products of rising dampness. Salts are consistently found from year to year to be present in only about one third of all specimens tested. An even lower incidence is reported by Trotman P, Sanders C, Harrison H (2004) who state that rising damp featured in 5% of the 510 occurrences during the period 1970-74; 4% of the 518 occurrences during the period 1979-82 and 5% of the 520 occurrences during the period 1987-89, an average of about one in twenty of all (damp) investigations. 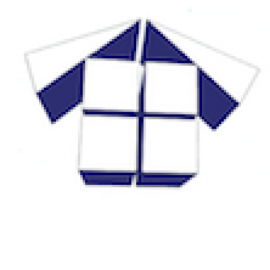 The majority of buildings in the UK have some form of original dpc. Even bridging or lack of continuity between dpc’s/dpm’s would cause only localised rather than widespread incidences of rising damp in a building. Failures of these dpc’s would need to be severe and extensive to cause major and general manifestations of rising damp in a wall. There is no evidence that suggests that such failures are occurring on a large scale. The problem of rising damp in walls caused by defective or missing dpc’s can be combated by reducing the sub-soil moisture content. More induced rising damp caused by damp proofers. General academic consensus puts the incidence of rising damp in all damp properties at around 5% but our own view based on pragmatic experience of carrying out hundreds of detailed damp investigations, using the full range of diagnostic tools puts the incidence at significantly less than 5%. General speaking I believe that earlier investigators failed to understand the difference between true and induced rising damp, which would give a falsely high incidence. Lets assume 5% is correct though, even if this were true, one in twenty damp properties affected by rising damp is relatively rare. Practically speaking, we do not find true rising damp in anything like 1 in 20 damp properties. We may encounter three or four cases a year and for each case we almost always identify subterranean leaks and consequential high ground moisture levels as the cause. Theres a great irony in that an industry, that promotes the incidence of true rising damp is in our experience, primarily responsible for causing it. However, this wouldn’t be true rising damp, rather, it is what we call ‘induced’ rising damp. Whenever waterproof coatings are applied to walls that prevent moisture evaporating from that wall then the moisture has nowhere to go but up. In these situations there is no limit to the rise height, as academically accepted to be the case for true rising damp and often the first sign of this problem is damp staining breaking through at the top of the finished waterproof plaster or render system, such as in the image below. The solution for this is to undo the work done by damp proofers and remove the cementitious render from the wall to reinstate wall base evaporation. We commonly encounter induced rising damp wherever we follow in the steps of damp proofers but we rarely encounter true rising damp and where building technical details are correct then it is usually caused by high local ground moisture caused by leaking drains (foul and storm) or leaking incoming water mains. 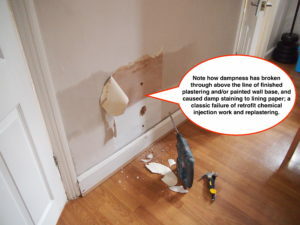 Unexplained damp patches at high level explained when plaster was hacked of to reveal an underlying waterproof render. A classic case of induced rising damp caused by damp proofers. Hi Joe. I have just come across your website for the first time and read the above article about rising damp. I agree 100% with you thoughts and conclusions. 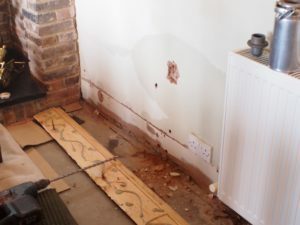 Like you, we investigate lots of cases of reported rising damp but very few are true rising damp. We find most are caused by several factors including defective drainage (causing moisture sinks), plaster wicking (often due to poor site practice when re-plastering), and the use of cementious mortars and renders. This is a fantastic website and a really useful source of information for building surveyors, especially those in the early years of the careers. I will recommend this site when providing advice to APC candidates. Thanks very much for the kind words and I’m glad you find the site useful.